TaRhonda Roshell Cromwell, aka Smiley daughter of the late Milton J. Cromwell and Rosalie V. Todd. TaRhonda was born February 19, 1965 in Baltimore, Maryland where she resided until she transitioned from her life to be with The Lord on Sunday, December 2, 2018. TaRhonda was educated in the Baltimore City School System. TaRhonda had a big impact on whom ever she came in contact with. 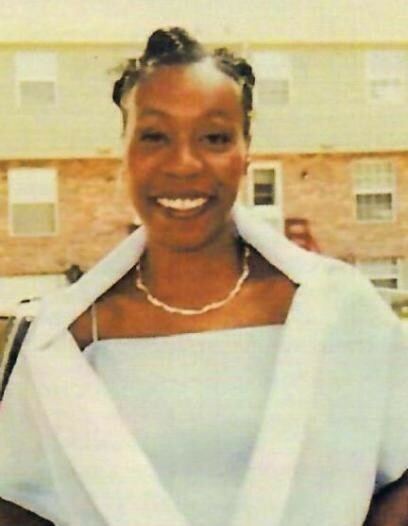 One thing you would notice about TaRhonda was that she had the biggest smile that would light up any room and a loving heart, especially for her children, grandchildren, nieces and nephews. She would go to war for all of them and would never let anyone take advantage of any of them. TaRhonda also loved to listen to music and loved to party. TaRhonda was a perfectionist when it came down to doing hair. When she did her daughter's and niece's ponytails they would be slicked down to the "T". Boy, she could get anyone's hair to grow and she always made sure she brushed down your baby hair! Your hair wasn't complete without brushing down your baby hair. TaRhonda had a long battle with health issues over the past eight years and she was the true definition of a warrior. She fought hard for a very long time, then God decided to call his daughter home to be reunited with her mother and father. Her loving mother Rosalie V. Todd: father, Milton J. Cromwell; brothers, Roderick L. Cromwell; Rudolph Todd; and sister, Geraldine Todd preceded TaRhonda in death. TaRhonda leaves behind to cherish her memory her four loving children, TaRhonika Vaughn-Myers (Kevin); Sheana McBride; James McBride Jr. aka Lil Kevin; Christopher Ervin Jr.; A devoted friend that was very near and dear to her heart, James C. McBride Sr. aka Kevin; four brothers, Milton aka Rudell Todd (Denell); Linwood Cromwell; Eugene Bromwell; and Anthony Wolford; six sisters, Odessa Todd; Coretha Jones (Luther); Darlene Todd, Lavern Abdul-Raheem; Vandora Cromwell and Marvel Deshields (Frank); seven grandchildren, Tashyra Bishop (Cordell), Keon Myers aka Lil Key, KaNiyah Myers, Ivy McBride, A'Riyah Epps, Jaleah McBride and Jalehn McBride; one God daughter, India Raheem and a host of nieces and nephews many of whom she helped raise.